If a picture is worth a thousand words, a political cartoon could be considered a lengthy editorial. Today, political cartoons have the power to catch a reader’s eye in a sea of digital information but once upon a time political cartoons were vital to the consumption of information by society at large. Take a journey to the beginning of political caricature drawings to fully understand how this art form stood the test of time. Even though caricature drawing was around during the time of Leonardo da Vinci, it was not considered art until politics got involved. However, a shift in thinking began to occur when, in the 16th century, a merchant class began to arise. This meant that leadership in civilized societies no longer belonged exclusively to high-class-educated-folk. People within the villages were seen as leaders too, even though several of them were illiterate. The power of the middle class was recognized by Martin Luther, who was passionate about advancing reforms that went against the Catholic Church. To gain support for these reforms, Luther acquired visual tools. Using pamphlets like Passional Christi und Antichristi allowed Luther to spread his message of reform and gain the support of people who could not read. In the Information Age, when words are plentiful but facts are fleeting, political cartoons disrupt mundane content, evoke curiosity and enable readers to learn about historical events – not from a textbook, but from self-guided quests. 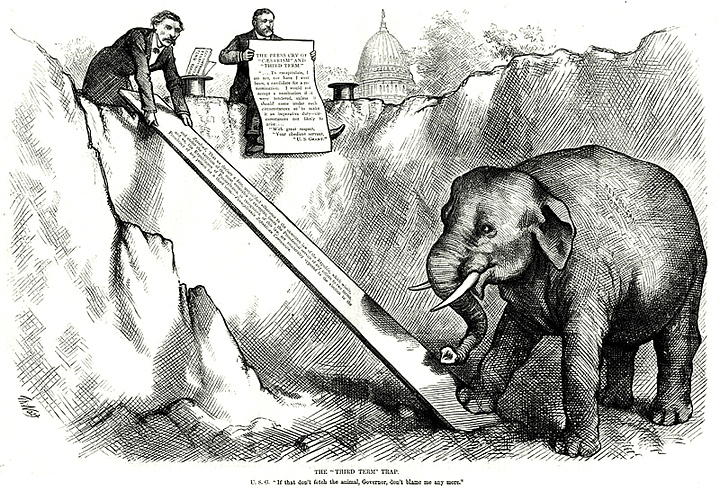 The history of political cartoons goes far deeper than this article, and, if history is any indication, it will continue for years to come. Stay tuned.